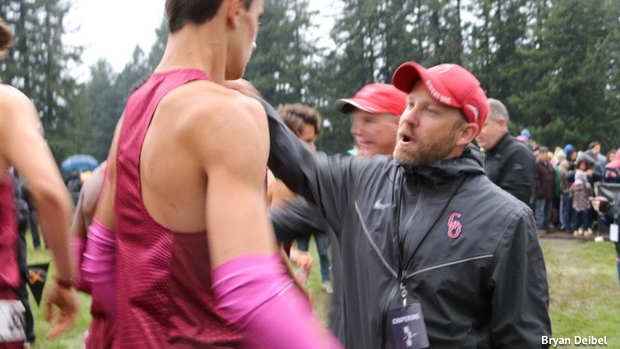 Great Oak High School's Doug Soles after his guys team placed second at NXN. NEW ORLEANS - The U.S. Track & Field and Cross Country Coaches Association (USTFCCCA) announced the state-by-state winners of its fourth annual High School Coach of the Year award for cross country on Wednesday. The full lists and more on the selection process can be seen below. State-by-state winners were selected based on their teams' performances throughout the 2018 cross country season. Among the factors taken into consideration were team score and placement at the state championships, margin of victory, performance against rankings if available, individual championships, and how their teams' performances stacked up to previous years (e.g. first title in school history, consecutive titles, etc. ).